MODERATOR: Thank you, Gwen. Welcome, and thanks to all of you for calling in on a Friday afternoon. I know it’s been a long week for many of you who’ve been at UNGA. Let me just begin by reading a short statement on background, one that you already should have in your Blackberries or on your computers, and then we’ll open it up to your questions. SENIOR STATE DEPARTMENT OFFICIAL THREE: The Secretary of State has decided, consistent with the law, to revoke the designation of the Mujahedin-e Khalq, better known by the acronym the MEK and its aliases, as a foreign terrorist organization under the Immigration and Nationality Act. The Secretary of State has also decided to de-list the MEK as a specially designated global terrorist under the Executive Order 13224. These actions are effective today. Property and interest in property in the United States or within the possession or control of U.S. persons will no longer be blocked, and U.S. entities may engage in transactions with the MEK without obtaining a license. These actions will be published in the Federal Register. With today’s actions, the Department does not overlook or forget the MEK’s past acts of terrorism, including its involvement in the killing of U.S. citizens in Iran in the 1970s and an attack on U.S. soil in 1992. The Department also has serious concerns about the MEK as an organization, particularly with regard to allegations of abuse committed against its own members. 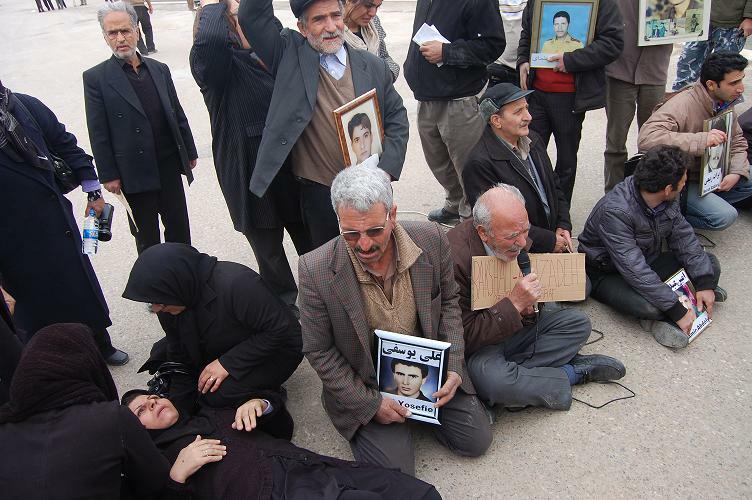 The Secretary’s decision today took into account the MEK’s public renunciation of violence, the absence of confirmed acts of terrorism by the MEK for more than a decade, and their cooperation in the peaceful closure of Camp Ashraf, their historic paramilitary base. The United States has consistently maintained a humanitarian interest in seeking the safe, secure, and humane resolution of the situation at Camp Ashraf, as well as in supporting the United Nations-led effort to relocate eligible former Ashraf residents outside of Iraq. MODERATOR: Again, that statement’s on background from a Senior State Department Official. And I’d now like to move on to the Q&A portion of our call. We do have with us today to answer your questions, two additional Senior State Department Officials, [Senior State Department Official One] and [Senior State Department Official Two] . From now on, they’ll be referred to as Senior State Department Officials Number One and Number Two respectively. And just a reminder again of the ground rules, this is an on background call. So with that, Gwen, we’ll go ahead and take journalists’ questions. OPERATOR: Thank you. And if you do have a question, please press * then 1. You’ll hear a tone indicating you have been placed in queue, and you may remove yourself from queue at any time by pressing the # key. If you’re using a speaker phone, please pick up the handset before pressing the numbers. Once again, if you do have a question, please press * then 1 at this time. And one moment please for our first question. And we have a question from (inaudible), BBC, please go ahead. QUESTION: Thank you, sir. Just if I could get a sense of how the State Department came to this conclusion that they have not acted as a terrorist group or violated U.S. laws as far as terrorism is concerned, because the laws are very clear – it’s both about intent and also the act itself. How did you come to the conclusion that they do not have the intent to commit another violent act in the future? We know that NBC has reported back in February that a U.S. Government official had said that MEK was involved in killing the scientist – nuclear scientist – in Iran as a (inaudible) for Israel. SENIOR STATE DEPARTMENT OFFICIAL ONE: Right, number one here. 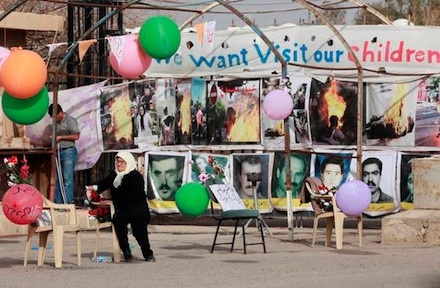 The judgment – and it is a judgment – was made on the basis of those criteria that are enunciated by the Secretary: the public renunciation of violence, the absence of confirmed acts of terrorism over more than a decade, and cooperation in the peaceful closure of Camp Ashraf, their military base. And I should add that the United States Government has not claimed that the MEK was involved in the assassination of scientists in Iran. And that’s really all we’re going to have to say on that. OPERATOR: Thank you. Our next question comes from Ashish Sen, Washington Times. Please, go ahead. QUESTION: Thank you so much for doing this. Just to follow up on that question. 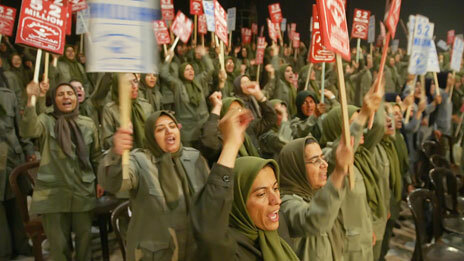 The review that was done of the MEK’s intents and actions, did that also include the group’s activities in Iran? I know you talked about there was no sign that it’s been involved in terrorist activities, but does that also include the group’s activities within Iran? And the second question is, do you anticipate any kind of change in provision of – are the countries now to accept members of the MEK now that the U.S. has delisted the group? SENIOR STATE DEPARTMENT OFFICIAL ONE: Well, why don’t I take the first question and then I’ll hand it to Senior Official Number Two for the second one. Our decision is based on an evaluation – a global evaluation – of the group’s activities. There are no exceptions. We believe that terrorism is terrorism no matter what country on earth it may be practiced in or against any party that it may be practiced against. So we do not distinguish between actions in or against Iran or in or against any other country. And let me then turn it over to my colleague. SENIOR STATE DEPARTMENT OFFICIAL TWO: Number Two here. I can’t speak with authority as to how foreign governments will react, but it is certainly plausible to assume that this action will assist in our efforts to support the UNHCR in its efforts to find homes for these people outside of Iraq. Certainly, now with Camp Ashraf effectively closed, only a residual group remaining, and with over 3,000 of its – Camp Ashraf’s former residents peacefully relocated to Camp Hurriya, the major task in our humanitarian efforts with respect to this organization’s members is their peaceful, orderly resettlement outside of Iraq. If this decision assists in those efforts, so much the better. I will be working intensely in the days and weeks to come with European Governments and other governments bilaterally and with the UNHCR to advance this process. OPERATOR: Thank you. Once again, if you do have a question, please press * then 1 at this time. And our next question comes from Spencer Ackerman, Wired Magazine. Please go ahead. QUESTION: Hi, thanks. Can you talk about the timing of this episode for the de-listing? I’m having a hard time understanding why only now it would seem to be appropriate to deal with the MEK. Are you concerned about the appearance that a designated terrorist group can engage in a high-profile lobbying campaign and then get off the State Department’s terrorist designation list? SENIOR STATE DEPARTMENT OFFICIAL ONE: Spencer, can you repeat the first part of your question? Because I couldn’t really hear it. QUESTION: Sure. I’m wondering about the timing. Can you explain the timing? Because it seems like there was a high profile lobbying campaign for de-listing, and then they’re delisted. Are you at all worried about that appearance of setting a precedent? SENIOR STATE DEPARTMENT OFFICIAL ONE: Well, let’s be clear. The timing of the de-listing has to do with the deadline given by the D.C. Circuit Court of Appeals. That court had set this deadline of October 1 as a date when there had to be a decision on the MEK’s petition to have its FTO status revoked. That was the condition that led to this timing and this decision was taken on the merits for the reasons that I explained before and not for any other reasons. MODERATOR: Great. Do we have any additional questions, Gwen? OPERATOR: And we’ll (inaudible). Once more, if you have a question, please press * then 1. Yes, and at this time, we have a question from Jim Lobe, Inter Press Service. Please go ahead. QUESTION: Yeah, I – just to follow up on one of the questions that was presented earlier. Does the U.S. Government have a position with respect to whether the assassination of scientists in Iran constitutes terrorism? SENIOR STATE DEPARTMENT OFFICIAL ONE: If we had information on that and could pursue it, we would, but as I said, we have never said that this group was involved in those assassinations. QUESTION: No, I understand, but if I could just follow up, I just wanted to find out whether the USG considered that the assassination, regardless of who it is by, of Iranian scientists, would constitute an act of terrorism. SENIOR STATE DEPARTMENT OFFICIAL ONE: Well, that would be my understanding, but I think you’d have to have the lawyers take a look at that. OPERATOR: Thank you. And our next question comes from Indira Lakshmanan, Bloomberg News. Please go ahead. QUESTION: Thank you. Can you hear me? QUESTION: Okay, this is Indira. Thanks for taking the question. I just wanted to understand; in your statement, you say that the Department is not overlooking or forgetting the MEK’s past acts of terrorism. But it doesn’t specifically say, other than saying that you’re taking into account their public renunciation of violence, whether you believe that they have completely given up any current terrorism. So can you clarify that? Do you believe – does the U.S. Government believe that they are no longer involved in any kind of terrorism? SENIOR STATE DEPARTMENT OFFICIAL ONE: I think that the phrase, “the absence of confirmed acts of terrorism by the MEK for more than a decade” is meant to indicate that we consider that public renunciation to be credible. QUESTION: Okay. And just following up on Spencer’s earlier question, the high-priced lobbying campaign that they’ve engaged in for several years now, which has been widely written about, did that not play any role in the decision making process or the pressure involved? SENIOR STATE DEPARTMENT OFFICIAL ONE: I can tell you that these decisions are made on the merits. They’re not made to appease any group of lobbyists, no matter how famous they are. The United States Government is not going to take anyone off the list if it genuinely believes that they pose an imminent threat, that they are going to commit terrorist acts again, or that they are somehow wedded to violence. I think that that is the key desideratum, and that’s how we do this. QUESTION: Thanks so much, and just last follow-up: What is the actual impact of this now? Does this mean that U.S. citizens can support them through groups that are registered in the United States, support groups, they can financially or in other way give them material support now? SENIOR STATE DEPARTMENT OFFICIAL ONE: Yes, it does. MODERATOR: Thanks, Ros – or, thanks, Indira. I think we have probably time for just one more question. I think [Senior State Department Official One] has to go, so go ahead, operator. OPERATOR: Okay. And that comes from Rosiland Jordan, Al Jazeera English TV. Please go ahead. QUESTION: Hi, thanks for taking the call. In terms of the relationship now between the U.S. Government and the MEK, can either of you speak to what kind of engagement there might be, what kind of discussions, does the U.S. now look at the MEK as a party to what happens or what doesn’t happen with the Iranian Government from this point on? SENIOR STATE DEPARTMENT OFFICIAL ONE: I’ll take a first shot at that, and then Number Two can take it on, and he may have things to say regarding the issue of resettlement. But I want to be very clear about this. We do not see the MEK as a viable opposition or democratic opposition movement. We have no evidence and we have no confidence that the MEK is an organization that could promote the democratic values that we would like to see in Iran. There is nothing in the way they govern themselves that would suggest they’re interested in adopting democratic principles, and there is a long and fairly rich set of documentation on how they treat their own personnel that really does suggest to the contrary. So we continue to have serious concerns about the group with regard to allegations of abuse that’s committed against its own members. They are not part of our picture in terms of the future of Iran. SENIOR STATE DEPARTMENT OFFICIAL TWO: This is Number Two. 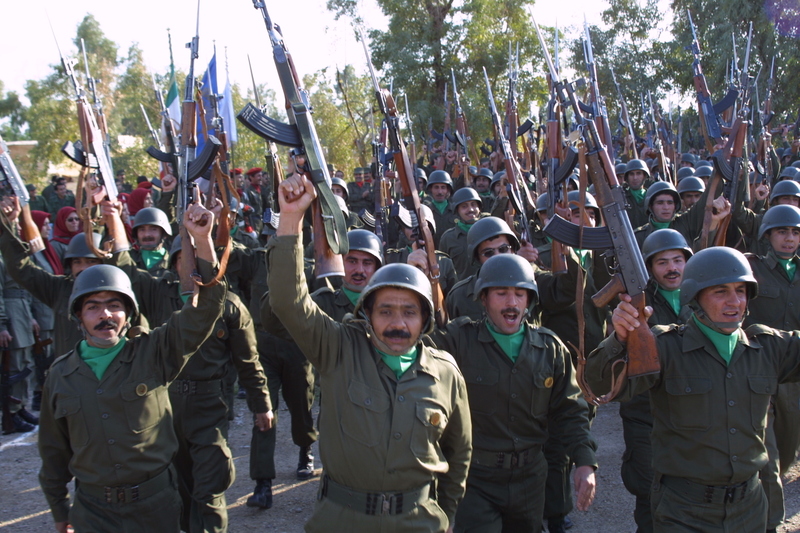 The U.S. Government has had and will continue to have contacts with the MEK with respect to their movement from Camp Ashraf to Camp Hurriya, which is largely complete. We have had and will continue to have contacts with them with respect to their resettlement abroad. Limited to that, we have had direct contacts usually by telephone and email. Those, as I said, will continue. On these issues, those contacts have been constructive and have – and I believe have contributed to the peaceful relocation of these people out of Camp Ashraf and to Camp Hurriya. Those contacts are irrespective of any of the issues that Number One has raised. We’re obviously mindful of the organization’s history, but because we have an overriding humanitarian interest in a peaceful and orderly and humane relocation effort, we have been in contact with them, and we will continue to be to this end. MODERATOR: Thanks. Gwen, I think we do have time for just one final question, short question, so thank you. OPERATOR: One moment please. Okay. And that question comes from Scott Shane, New York Times. Please go ahead. QUESTION: Hi. I got in a little bit late, and I hope this hasn’t been asked and answered, but previously it was reported by some of the supporters of the MEK that their speaker’s bureaus had been contacted, had received subpoenas in fact as part of a Treasury Department investigation, presumably for material support of a designated terrorist group. Can either of you say anything about what became of that or at least whether there is any such continuing investigation going on now of people who supported the MEK? SENIOR STATE DEPARTMENT OFFICIAL ONE: I think you’ll have to ask Treasury, if they wish. SENIOR STATE DEPARTMENT OFFICIAL TWO: I agree. I have – I can’t say. Not aware of it. MODERATOR: All right. Thank you very much and thanks to all of you for joining us on a Friday afternoon, especially to our two Senior State Department Officials, but also to the many journalists as well. I hope you all have a good weekend. This concludes our background call.